Here's a story about a guy from my neck of the woods that exemplifies what a martial arts cult leader is all about. For years he's adorned lampposts and telephone poles with his hand-written signs that beckons all to "Fight Back" that includes his phone number and lists aiki-jiu-jitsu, aikido, and kung-fu as part of the package, along with a drawing of a singular sai (tri-pronged truncheon). I've never met "Sensei Jerry" but I know of two people who briefly trained with him, one of them a former instructor. 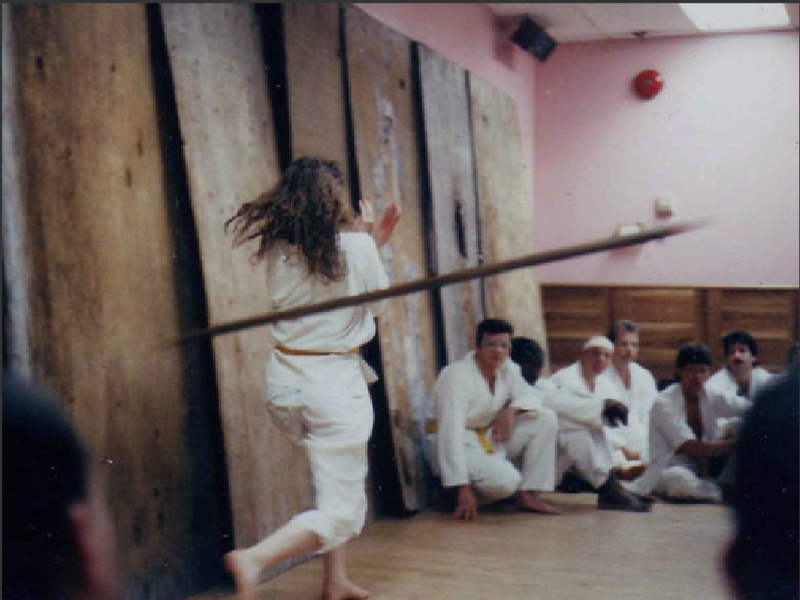 The stories that have come back include students having to defend against (or threatened with) a myriad of weapons, such as bats, live blades, 2x4s, and spears. Enter Sensei Jerry. “Class” began with a recap of the most recent “hunt” that took place in Connecticut. Those who had somehow performed in an unsatisfactory manner were punished…with swirlies. I kid you not. Four other members of the group picked them up, carried them to the bathroom, and did the deed. The Sensei then congratulated everyone on a job well done, and began espousing the benefits that come with training – being able to disguise oneself in any situation, stretching out one’s “meridian system” (according to Sensei Jerry, computers and TV were a government plot to lower life expectancy and the only way to combat this was with the “good fear”). Then, it was time for class to begin. What followed can only be described as: absolutely f*#!ing insane. The leader assumes total power to validate or negate the self-worth of the devotees, and uses this power extensively. The leader keeps his followers in line by manipulating emotions of hope and fear. There is a strict, rigid boundary drawn between the group and the world outside. In addition, many of these "sensei" either claim some high rank in a made-up style (or styles), or have a rather tenuous one in a legit system they no longer are really affiliated with. For example, certain exponents of Ryu-te kempo such as George Dillman and Jack Hogan claim to be able to KO anyone without having to touch them! But Ryu-te founder Seiyu Oyata (d. 2012) has never advocated, much less demonstrated, a "no-touch knockout.". Needless to say the no-touch KO has since been debunked. Only duped students have been brainwashed into complying with the herd mentality. More people need to say the emperor has no clothes. *John Welwood 2000. Toward a Psychology of Awakening. Shambhala Publications, Inc.